➢ “McMafia is an ambitious drama, spanning the globe, promising to be complex in its exploration of 21st-century organised crime and based on the 2008 book of the same name. Yet the first half felt stuck in second gear and merely like a procession of unpleasant rich men about whom you didn’t give much of a stuff. Then after about 32 minutes it found some throttle. Never have I been more glad to see extreme violence.” — The Times. 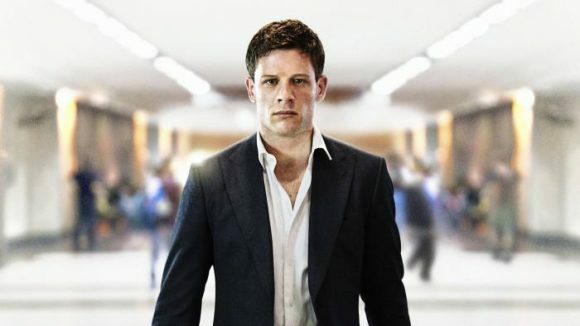 ➢ “One episode in, of eight, it is difficult to tell whether McMafia will scale the lustrous heights of the John le Carré adaptation The Night Manager or take a plunge into glossy melodrama like Sky One’s Riviera. [James] Norton walks a curiously stone-faced line between handsome hollowness and charisma as the somewhat inscrutable Alex. But there’s enough grit in his acting, and intrigue in the plot, to guarantee my place on the sofa for tonight’s follow-on.” — The Telegraph. ➢ “It’s beautifully put together, the script is a cut above average, and there is a sense of much more power and energy waiting to be unleashed that may well be enough to carry viewers across eight episodes, Europe and most of the Middle East. Whether any of us can cope mentally with being shown what a web of irredeemable mass corruption the world is, I don’t know. Before we’re too many episodes in, we will be like the creatures on Animal Farm, looking from corporations to criminals and back again, unable to tell which is which.” — The Guardian. ➢ “The series’ attempts at true verisimilitude might leave some viewers turning off before they get that far, with lengthy discussions about international finance, money laundering and in-depth import/export deals bogging down earlier parts of the story at the expense of the drama’s pace. It’s all very accurate, but sometimes one can’t but feel a little of this detail could have been jettisoned for a more streamlined story.” — Radio Times. ➢ “McMafia rattles through crimeland clichés at an astonishing clip. Before the title sequence of episode one we’ve already seen a dodgy meeting on board a yacht, an exploding car and a beautiful blonde agent disguising herself with a headscarf à la Homeland. But stick with it, because [the] meticulous research gives the schlock good bones. There’s also more humanity than you might expect to find.” — Financial Times.